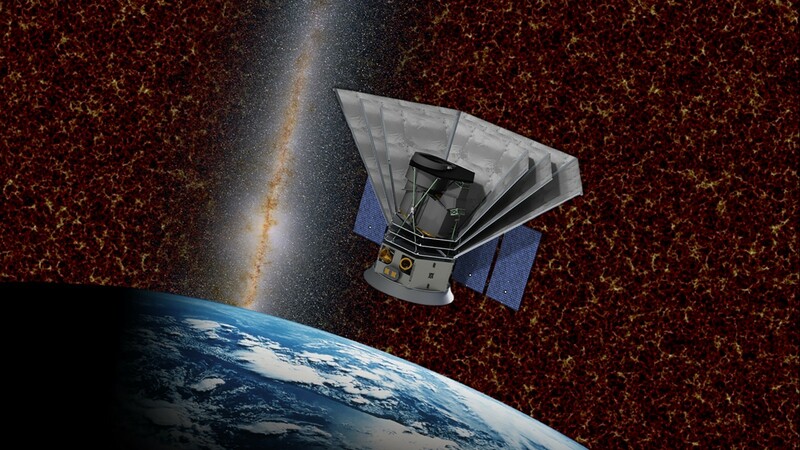 The SPHEREx mission to explore the entire sky in infrared light is scheduled for launch in 2023, NASA announced. The space-based telescope will examine the Universe in visible, as well as infrared, light. These wavelengths of light are invisible to the human eye, but provide valuable data in the quest to understand the Cosmos. The space-based Spectro-Photometer for the History of the Universe, Epoch of Reionization, and Ices Explorer (SPHEREx) will study over 100 million stars in the Milky Way, and 300 million galaxies beyond our own. The orbiting observatory will map the entire sky in 96 different color bands, creating an unprecedented view of the universe around us. “This amazing mission will be a treasure trove of unique data for astronomers. It will deliver an unprecedented galactic map containing ‘fingerprints’ from the first moments in the universe’s history. And we’ll have new clues to one of the greatest mysteries in science: What made the universe expand so quickly less than a nanosecond after the big bang?” said Thomas Zurbuchen, associate administrator for NASA’s Science Mission Directorate. Heat coming off most sources is, in fact, infrared light. This form of electromagnetic (em) radiation is used in heat lamps (keeping food warm at a restaurant), and felt in the warmth of a campfire on a cool night. The wavelength of infrared light is slightly longer than red (the longest of the rainbow of visible colors). On the barrier where visible light fades into invisibility, sits the near-infrared bands. These frequencies are used for remote controls, like those that control televisions. The wavelengths of this electromagnetic radiation are long enough so they are invisible to us, but short enough that we do not feel any heat. However, most infrared light is blocked by our atmosphere, so infrared telescopes must be placed in space. SPHEREx will view hundreds of millions of galaxies during its life, many of which are more than 10 billion years old. Closer to home, the spacecraft will peer at dusty rings around alien suns where planets are slowly forming, as well as searching for water in nebulae where stars are being born. The 74.5 kilogram (165 pound) observatory will map the entire sky every six months. “SPHEREx has three science goals: First, it will study the physics of the very early universe, a period known as “inflation”, during which the universe experienced a phase of extremely rapid expansion. Second, it will map the intensity of light emitted from galaxies across cosmic time and thereby expand our knowledge on how galaxies form and evolve. Third, in the Milky Way, the mission will search for water and organic molecules — essentials for life, as we know it,” writes Tim Eifler of Steward Observatory, member of the mission science team. The $242 million dollar mission was selected from nine proposals developed for NASA, as part of their Astrophysics Explorers Program. The NASA’s Explorer program called for spacecraft designs capable of producing great science for less than $250 million. During its long history, that program has launched more than 90 missions, including Explorer 1 in 1958, and the Cosmic Background Explorer. Observations carried out using the latter mission, launched in 1989, led to a Noble Prize. The spacecraft has no moving parts, once the sun shield and aperture cover are deployed after launch. The telescope will view more than 11 degrees of sky at one time — that is 22 full moons, seen side to side! This wide field of view greatly reduces the amount of time it will take to map the entire sky. Program engineers are planning to map all visible objects in the sky four times during the planned two-year mission. 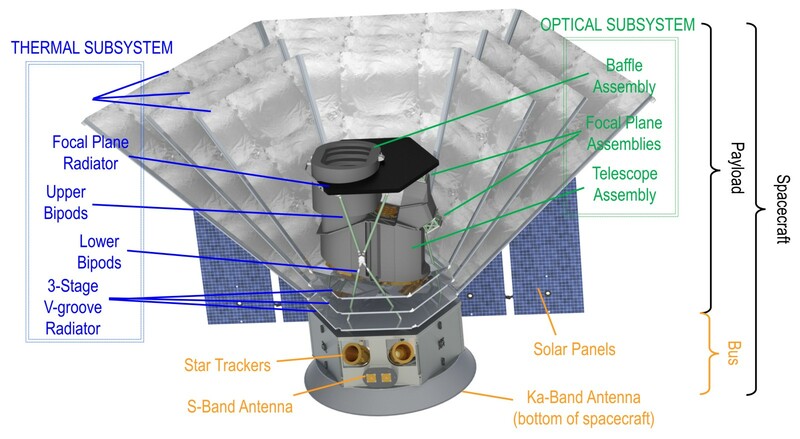 The SPHEREx observatory will also, hopefully, find new targets for other new and upcoming space-based observatories, such as TESS and the James Webb Space Telescope.